1. In the context of the ongoing political crisis since the 2014 coup d’etat, defending human rights in Thailand brings about high risk of judicial harassment, arbitrary detention, physical violence and even killing. From the highest government level, including the Prime Minister and the National Council of Peace and Order (NCPO), to the local level, authorities show a determined will to control the work of HRDs and continue to subject them to repressive measures. 2. Martial law, which entered in force across the country two days prior to the coup1, allows the military to ban all political protests and to detain anyone for up to seven days without providing evidence of wrongdoing or bringing formal charges. Scores of protesters and HRDs have been arrested and held at irregular places of detention, including permanent or temporary military bases. The temporary constitution promulgated in July 2014 by the junta and the consolidation of their repression indicate that the NCPO may remain in power for an extended period of time. 3. This report highlights the intensifying and constant risk, threats and intimidating environment that HRDs are facing in Thailand, especially within the context of militarisation, institutionalised impunity and lack of accountability on the part of the authorities, and the imposition of authoritarian rule by the NCPO. Particular focus will be put on the situation of community-based HRDs, women HRDs, and young HRDs. 4. Judicial harassment, which remains one of the most common tools to silence HRDs, has intensified since the enactment of new restrictive laws. The enactment of the NCPO Order 3/2558 and Article 44 of the Interim Constitution weakened the judiciary, subjugated the legislative to the executive and gave the NCPO absolute power, which further undermined possible recourse to legal remedies for HRDs. Article 44 enables every military officer of high rank to take any measures which he/she deems suitable to “maintain peace”, authorising them to summon and detain suspects, confiscate personal belongings and enter premises without a warrant. The new Public Assembly Act, which came into force on 14 August 2015, severely restricts freedom of assembly and imposes high penalties, of up to 10-year prison terms, for offences such as causing a disturbance or disruption to public services. 5. In addition to the Public Assembly Act, the Computer Crime Act (2007) and criminal defamation (Article 326 of the Criminal Code) (defamation) have been repeatedly used by state and non-state actors to target HRDs. The arbitrary use of criminal defamation has a chilling effect on HRDs and civil society, encouraging self-censorship and unduly restricting freedom of expression. 6. There have been reports of armed men being hired to carry out physical attacks on HRDs, for example in the provinces of Loei and Phattalung and in the Khlong Sai Pattana community. The authorities have frequently failed to take action to protect HRDs who face risks at the hand of private actors. Police investigations into crimes committed against HRDs are frequently delayed or remain incomplete. As a result, those responsible for attacks, killings and acts of harassment against HRDs are rarely brought to justice, as in the case of the killing of members of the Southern Peasants' Federation of Thailand (SPFT) (see section VII below). 7. Furthermore, HRDs are openly intimidated by the state authorities. 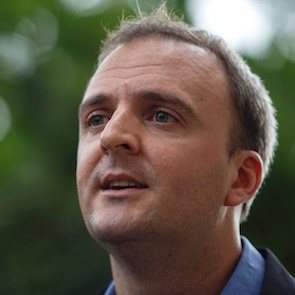 There are reports of HRDs being contacted by authorities and questioned about their activities. There are reports of surveillance, both physical and online, of HRDs being followed when attending public events or receiving unannounced visits at home by uniformed and plainclothes security agents. A number of events, including the launching of human rights situation reports, have been disrupted and public gatherings banned. 8. HRDs face recurrent public smear campaigns by representatives of high-level state authorities, who have publicly threatened HRDs. In February 2015, Prime Minister and head of the National Council for Peace and Order, Mr Prayut Chan-o-cha, threatened local journalists saying that he can “even arrest people to be executed". In August 2015, the Governor of the Songkhla province, Mr Thamrong Charoenkul, stated that the authorities “have to arrest the NGOs leading the villagers’ opposition and shoot the lot of them and that will be the end to the problem." He was referring to those NGOs working in the Save Andaman from Coal Network. 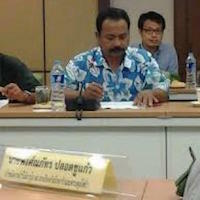 In 2013, then-Deputy Prime Minister Plodprasop Suraswadi publicly said “Chiang Mai people also should not allow this garbage to mess around”, referring to the activities of environmental rights defenders in the Chiang Mai region. l) Cooperate fully with UN Special Procedures, including the Special Rapporteur on the situation of HRDs, by responding to their urgent appeals and letters of allegations and accept the mandate holders' outstanding request to visit the country.